Caroline and Xavier Perromat officially took over the Chateau du Mayne in 2012, though the estate has been in the Perromat family for several generations. It was the first property acquired by Jean Perromat, who went on to become the head of the Syndicat des Vignerons de Cérons. The 4 hectare domaine is surrounded by woods, and has a deep gravel soil above a sublayer of limestone rich in marine star-fish fossils. 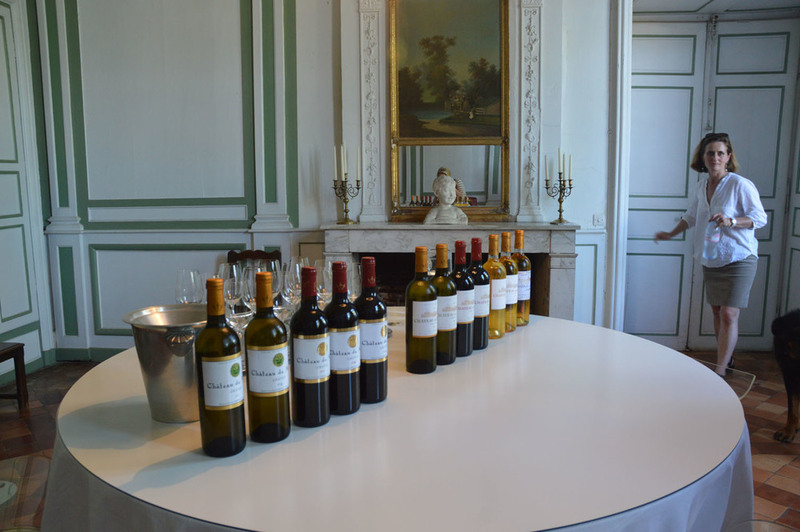 The wines are a reflection of the smallest appellation in Bordeaux - Cérons, a subregion within Graves that also produces sweet botrytis wines, Before taking over the Chateau du Mayne, Xavier worked with his extended family at the domaine, and Caroline worked at Chateau Haut-Bailly. The winemaking reflects their desire to stay true to the tradition of Bordeaux, and create terroir-driven wines that offer great elegance and value. From vines averaging 35 years in age with 6000 vines/ha density. Mixed gravel soil with sand and small stones resting upon a subsoil of oceanic limestone. Vineyards are farmed using a lutte raisonnée philosophy. Grapes are handpicked and sorted, and gravity flow winemaking allows for gentle handling of the wine. Native yeast fermentation for 20-30 days in concrete tanks and then aged in 20% new French oak barrels. Average production: 24,000 bottles/year. From vines averaging 25 years in age, and density of 6,600 vines/ha. Grown on mixed gravel soil with sand and small stones resting upon a subsoil of ocean limestone. Vineyards farmed with "lutte raisonnée" philosophy. Aged for 12 months in thermo-regulated stainless steel tanks. Average production : 12,000 bottles/year. From vines averaging 25 years in age, and density of 6,600/ha. Grown on mixed gravel soil with sand and small stones resting upon a subsoil of ocean limestone. Vineyards farmed with Sustainable viticulre. Hand harvested of botrytised grapes. Very soft press and aged for 18 months in barrels.